This week, I gave a talk to a lovely arthritis support group called Arthritis Support Kent. Thank you for welcoming me ASK! We talked about how reflexology can be beneficial for people diagnosed with arthritis and arthritis related conditions. 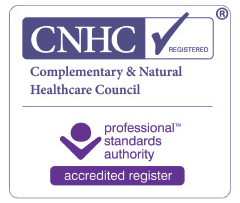 I believe reflexology may improve the quality of life to people diagnosed with arthritis and other conditions and that reflexology is a beneficial complementary therapy. I have found symptoms in clients with arthritis are reduced with regular treatments. At first it is good to come weekly for at least 4 weeks and then space out the treatments, working towards a maintenance treatment plan. While preparing for the talk, I began to think about my listeners. Why should they believe what *I* say? Why should they want to have reflexology to help their own situation? 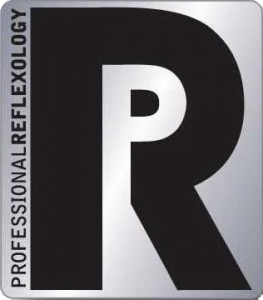 The clinical implications are that reflexology may be a valuable addition in the management of foot pain for participants with RA. The study concludes that hands and feet reflexology applied to rheumatoid arthritis patients is effective in reducing their pain, improving their QOL and their total health status, and these positive impacts are not affected by patient’s age and duration of illness. What do my colleagues say about their clients? My colleagues (other reflexologists) have also provided testimonials in relation to treating clients with arthritis. Pam (Ashford): Treating Osteoarthritis. Male, age 78. He gets pain relief with traditional reflexology. I suggested trying RLD and he feels it gives him even better results, less pain and better mobility. Di (East Kent): Treating Psoriatic Arthritis. Male, age 61. Has fortnightly treatments, both his feet are very swollen and painful. After RLD, you can see the reduction in the swelling and his feet have more flexibility and movement and he said the pain is so much better and lasts up to a week after the treatment. Jane (California): Treating Cancer and RA. Female, age 67. We began RLD for secondary lymphedema from cancer. We were blown away because of the changes we saw in the hands that were caused by RA. The swelling went down in the arm like we expected but the secondary result has been that the hands improved too; she can now make a fist and wear the same size glove on each hand. The redness is gone also. Her MD, chiropractor and oncology MD noticed the changes too. What to do next if you have arthritis? Please note: To really see a benefit, it is important to have regular treatments.